Gandy Printers won a trophy at the Tally Awards; but that’s not the point. Several years ago a friend asked for help with a sponsorship for Capital City Youth Services; specifically printing for their Tally Awards. He’s a longtime customer and made a quick pitch why he was passionate about CCYS. 2017 is the fourth year we have participated. This year we were happy to win a Tally Award, for Technology – Graphic Design, which was gratifying as we’re proud of what we do. 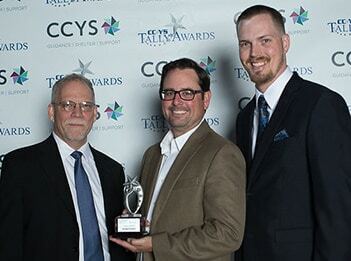 We got our picture taken and had a great time at the Tally Awards, but that’s not the point. While delivering the programs I was given a tour by Jess Tharpe, CCYS Outreach & Development Director, who explained the scope and complexity of the organization’s mission. Twenty minutes later I had learned something important; there’s a large, unseen population of young people in the Big Bend who have no place to go for food, clothing, and shelter. I learned about the scarcity of services to alleviate the impact of teen homelessness. Most important, I learned about the multi-faceted approach CCYS takes to engage these young people. Leon County schools reported 870 homeless youth during the 2015-2016 school year, many of these youth are served by the CCYS emergency shelter. CCYS served more than 1,250 youth last year across all programs. CCYS’ crisis hotline is available 24 hours for referrals. Any youth, family member, caregiver, counselor, friend, etc. can call to see if CCYS can be of assistance. 82% of youth remain housed or employed after receiving street outreach services. 92% remain non-adjudicated (have not been arrested) 6 months after receiving services. Much as our customer asked us, we are asking you to support Capital City Youth Services. Gandy Printers is glad to know there are dedicated professionals undertaking this mission, and proud to be a sponsor. As artists, there is no other local printer that we would trust to reproduce our work. Gandy Printers’ quality and attention to detail, plus fabulous customer service, is unmatched! Gandy Printers has helped us design and print new flyers, maps, brochures, banners, and more. In addition to delivering our orders, they go above and beyond to make sure we are getting what we need. They are fast, reliable, and affordable, as well as a pleasure to work with. I needed 1500 cards done for an event in Concord, NC. I was not able to get any response from printers in town so I looked for another avenue. Not only did I need these cards printed but I also needed them designed and shipped in less than a week. I had a wonderful experience with the team at Gandy Printing and would highly recommend them!!! Bernie and his crew never fail to deliver on the promise of quality products delivered on time. Their expert recommendations before the job enters the workflow are much appreciated and assist in avoiding problems later on. Bernie and his team at Gandy Printers have delivered great results for me time after time, and I would strongly recommend him to anyone for quality and cost-effective printing. The first thing that brought me to Gandy Printers was their prices, because they are very competitive. After I sent them a few jobs I quickly realized that their customer service is what sets them apart. They’ve completed high-pressure direct mail projects for me on ridiculously short deadlines, and never dropped the ball once. I’ve sent them everything from business cards, to letterhead, to fliers, to high-volume postcard runs, and they’ve never once let me down. 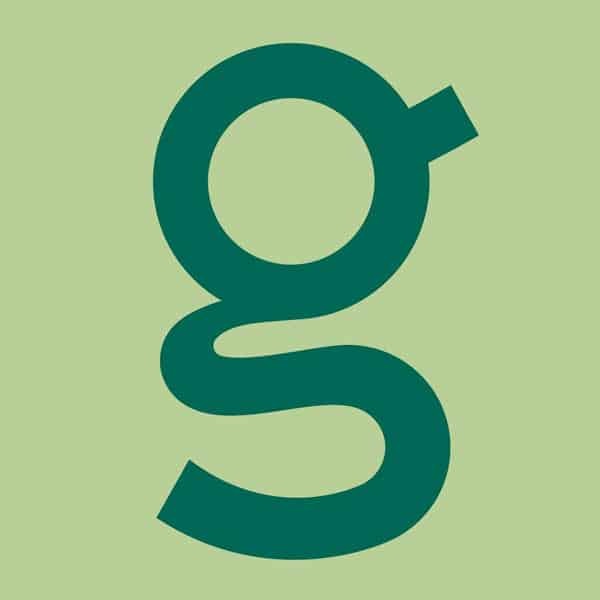 Gandy Printers provided our organization an outstanding level of customer service and support. Both management and staff were attentive to our needs and schedule and provided detailed and timely estimates for every project. Their printing services and materials were of the finest quality and were key to our organization’s successful marketing of two large fundraisers. Thank you Bernie and staff, your commitment to quality, integrity and performance have made us raving fans. Have a question about your next printing project or need to get a quote? Contact us and we will get back with you as soon as possible.